America's motorists and their families now have a new level of protection from unsafe, recalled cars. After years of battles against powerful special interests, on June 1, 2016, the Raechel and Jacqueline Houck Safe Rental Car Act took effect. The Act, named for two sisters, ages 24 and 20, who were killed by a recalled rental car, makes it a violation of federal law for rental car companies with fleets of 35 or more rental or loaner cars (including some car dealers), to rent, loan, or sell defective, unsafe recalled cars until the safety defects have been repaired. Recalled Chrysler PT Cruiser killed Raechel and Jacqueline Houck, ages 24 and 20. The new Act provides new, potentially lifesaving protections for renters, and also for millions of used car buyers. 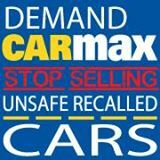 Car dealers like CarMax sell unsafe recalled cars with killer safety defects, without repairing them. But their competitors -- including companies like Hertz, Enterprise, Avis, and other large rental car companies, are prohibited by federal law from selling those unsafe cars unless they have been repaired. So consumers looking for safe used cars should consider looking for former daily rental cars as one way to reduce the chances of being sold an unrepaired recalled car. As an added precaution, it's also a good idea to check the VIN at the National Highway Traffic Safety Administration's safety recall lookup. The new law is the first major expansion of the National Highway Traffic Safety Administration's authority over safety recalls since the agency was created in the 1960's. For the first time, NHTSA will be able to crack down on covered rental car companies and car dealers, and issue fines or invoke other sanctions, to help prevent tragedies like the crash that claimed Raechel and Jacqueline's lives. "I'm thrilled that the Safe Rental Car Act named for my beautiful, treasured daughters, Raechel and Jacqueline, is now the law of the land. But I'm worried about the loaner car loophole for car dealers and remain committed to closing that dangerous safety gap," said Cally Houck, Mother of Raechel and Jacqueline. The Houcks filed a lawsuit against the rental car company under state laws against negligence and wrongful death, and won a unanimous jury verdict. She also reached out to CARS, which worked closely with her and Congressional champions and spearheaded enactment of the law. "If this law was in existence when my cherished, beautiful daughter Jewel rented a car, she would still be alive today," said Alexander Brangman. In 2014, his 26-year- old daughter Jewel died while driving a rented 2001 Honda Civic. Tragically, the recalled car had an unrepaired and defective Takata airbag, which exploded in her face during a low speed chain reaction fender bender. Passengers in the other vehicles were able to walk away from the crash site without injuries. However in Jewel's case, the shrapnel from the defective airbag sliced an artery in her neck, causing her to bleed to death. The small rental car company in San Diego, CA that rented the Honda to Jewel had approximately 55 vehicles for rent, and would be covered under the new Act. U.S. Senator Chuck Schumer (D-NY), the principal author of the Act, said, "This law is going to save lives, period. Families heading out for vacation or business people on travel should never have to wonder if their rental car is under recall when they drive it off the lot. Thanks to this bill, the millions of people who rent cars every year will have peace of mind that rental car companies can't rent or sell cars that they know are unsafe." "I am so proud that the Raechel and Jacqueline Houck Safe Rental Car Act takes effect today so that the public can be assured when they rent a car, it cannot be under recall," said U.S. Senator Barbara Boxer (D-CA), a leading champion for the Act. "It is outrageous that some loaner vehicles were exempted from the law and we must act to close this dangerous loophole." New Rental Car Safety Law is named for Raechel and Jacqueline Houck, who were killed by a recalled rental car. "When consumers and families drive a rental car off the lot, they should be able to do so with the confidence that car is safe to drive, and our legislation will help achieve that peace of mind," said Senator Claire McCaskill, former Chairman of the Senate Subcommittee on Consumer Protection. "Companies like Honda and GM, as well as the rental car industry and consumer and safety advocates rallied support for our commonsense plan that will help ensure any rental cars subject to recall are grounded, and that companies violating that law are held accountable." 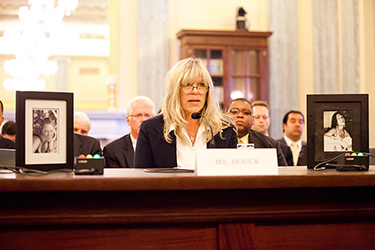 "Implementation of the Raechel and Jacqueline Houck Safe Rental Car Act is an important consumer safety measure that is long overdue," Rep. Lois Capps said. "If a car is deemed too dangerous to sell, it is too dangerous to rent — it's that simple. Thanks to the tireless efforts of advocates like Cally Houck, we have now made our roads safer. This commonsense, bipartisan law will undoubtedly protect public safety and prevent more unspeakable tragedies from occurring." "The Safe Rental Car Act will save lives and assure Americans that the vehicles they rent are free of known defects," said Rep. Jan Schakowsky. "Rental car companies should never rent out cars that are unsafe. Sadly, for far too many families these vital protections come too late. But thanks to the hard work of family members who channeled their grief and anger into advocacy, we now have a law to prevent future deaths. We must continue to work to ensure that every vehicle bought or rented is safe." Rental car companies are the largest purchasers of new cars in North America. They are also among the largest sellers of used cars. So under the new federal law, millions of used cars will also be required to be repaired, in addition to existing state laws that prohibit dealers from selling unsafe products to the public. However, thanks to a last-minute loophole added by the Republican House of Representatives at the behest of auto dealers, and carried by Rep. Roger Williams (R), a Texas car dealer, the Act applies only to companies with a fleet of 35 or more rental or loaner vehicles, on average – exempting many auto dealers. If a dealer who is not covered by the new law rents, loans, or sells an unsafe recalled car, it would still be a violation of various state laws, such as laws against false advertising, unfair and deceptive acts and practices, or violations of express or implied warranties, or – if someone is injured or killed as a result -- negligence or wrongful death, but NHTSA is not able to enforce those laws. The leading Congressional champions for passage of the Act were U.S. Senators Schumer, Boxer, McCaskill, Nelson, and Blumenthal, and Representatives Capps, Schakowsky, Butterfield, and Jones. The Senate measure was also co-sponsored by Senators Casey, Feinstein, and Gillibrand. U.S Secretary of Transportation Anthony Foxx and NHTSA Administrator Mark Rosekind, M.D. also advocated strongly for its passage. The DOT's request to Congress, for enactment of the FAST Act, included provisions calling for NHTSA to have authority to curb rental car companies and car dealers' illegal sales of ALL recalled rentals / loaners or used cars. In a commendable move, the rental car industry, including Enterprise, Hertz, Avis, Dollar- thrifty, Alamo, National, and the American Car Rental Association, as well as many smaller rental car companies, helped persuade lawmakers to vote for the Act, and worked alongside Cally Houck, Consumers for Auto Reliability and Safety, and other supporters for passage of the new law. General Motors and Honda broke ranks with other auto manufacturers and also supported the bill. The Senate and House both rejected attempts by some auto manufacturers and by the National Automobile Dealers Association to kill the bill, or to legalize rentals and loaners of recalled vehicles with "disclosure" -- shifting liability onto the victims of unsafe vehicles. Defective, recalled Chrysler PT Cruiser rental car killed Raechel and Jacqueline Houck, ages 24 and 20. The federal bill, S 921, is named in honor of them. GM,Toyota, Chrysler, Ford, other major auto manufacturers, and new car dealers continue to oppose The Raechel and Jacqueline Houck Rental Car Safety Act -- publicly popular legislation pending in the U.S. Senate to prohibit rental car companies from renting recalled cars to consumers, or selling them to anyone without fixing them first. But get this: almost the entire rental car industry itself is actively advocating FOR the bill. Years ago, the rental car companies also pledged to stop renting or selling recalled cars until the safety recall repairs are performed. When was the last time you saw an industry being that responsible and concerned about the safety of its customers, and asking to be regulated by a federal safety agency? To say that this is a rare occurrence is an understatement. Yet it's true. Representatives from Hertz, Enterprise, Avis, and the American Rental Car Association (ACRA), have joined together with CARS and other auto safety organizations, State Farm and the AAA (auto club) to work to get the Raechel and Jacqueline Houck Rental Car Safety Act, S 921, made into the law of the land. So -- if the rental car companies are in favor, what's stopping the bill? Two: Auto dealers argue that if the rental car safety bill passes in Congress, they will face increased pressure to stop selling / renting / leasing / loaning unsafe, recalled used cars to consumers. Even though the repairs are free, it would slow down sales a bit if they have to bother getting a recalled used car fixed before they get to foist it off onto a consumer. Never mind that they are deliberately putting their customers' safety at risk -- and endangering the lives of their families, other passengers, and others who share the roads. What's most worrisome about this? It means the manufacturers must plan on building a LOT of defective cars in the future, that will have to be recalled -- after they are sold to their customers, including rental car fleets -- the largest purchasers of new cars in the U.S. And dealers insist they have a perfect right to keep on selling used cars without bothering to have the safety recall repairs performed first. Washington, D.C. – U.S. Senator Barbara Boxer (D-CA) today praised the Senate Committee on Commerce, Science and Transportation’s passage of the Raechel and Jacqueline Houck Safe Rental Car Act of 2013, legislation that will ensure the safety of America’s rental car fleet by preventing rental car companies from renting or selling cars or trucks that are under safety recall. Senator Boxer is a lead sponsor of the bipartisan measure along with Senators Chuck Schumer (D-NY), Lisa Murkowski (R-AK) and Claire McCaskill (D-MO). The bill passed the committee by a unanimous voice vote. Enterprise received a recall notice that the PT Cruiser had a defective power steering hose that was prone to catching fire and that it would be repaired by Chrysler free-of-charge. Despite the warning, Enterprise did not get the vehicle repaired and rented it out to three other customers before renting it to the Houck sisters. The defect caused the car to catch fire and crash head-on into a tractor-trailer, killing both sisters. 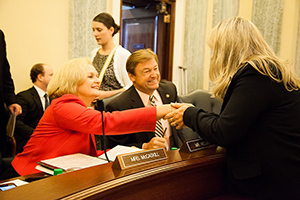 Their mother, Cally Houck, has since joined with consumer groups in support of the legislation, which would close a loophole in safety standards by requiring rental car companies to ground recalled vehicles as soon as they receive a safety recall notice and prohibit them from being rented or sold until they are fixed. Auto-dealers are already subject to these requirements and the bill would simply extend the same requirements to rental car companies. “We’re one major step closer to putting an end to ‘recalled rental car roulette',” added Rosemary Shahan, President of Consumers for Auto Reliability and Safety. The legislation is supported by all of the major car rental companies – Hertz, Enterprise, Avis Budget and Dollar Thrifty – as well as Consumers for Auto Reliability and Safety, Advocates for Highway and Auto Safety, the Center for Auto Safety, Consumer Action, the Consumer Federation of America, Consumers Union, the National Association of Consumer Advocates and the Trauma Foundation. Cally Houck holds a picture of her daughters. Prohibits Rental or Sale of Vehicles Subject to a Safety Recall. Under the senators’ plan, vehicles may not be rented or sold until the vehicles are fixed, consistent with existing law for new car dealers, who have been prohibited from selling or leasing recalled vehicles for decades. Rental companies would be permitted to sell a damaged vehicle subject to recall for parts or scrap with a junk title. Requires Rental Companies to Ground Vehicles Under a Safety Recall. The bill would ensure that vehicles under a safety recall will be grounded as soon as possible but no later than 24 hours after the rental company gets the safety recall notice. Rental companies will have up to 48 hours for recalls that include more than 5,000 vehicles in their fleet. Permits Rental Companies to Rely on Temporary Measures Identified by Manufacturers. If a manufacturer’s recall notice specifies steps that can be taken to eliminate the safety risk until parts are available, a rental company may continue to rent the vehicle if those measures are put in place but must ground and repair the vehicle once parts become available. Ensures NHTSA Has Tools Necessary to Protect Consumers. The National Highway Traffic Safety Administration will have authority to investigate and police rental companies' recall safety practices. 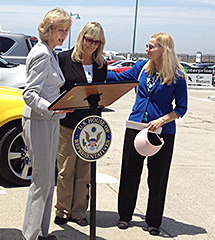 US Rep. Lois Capps, joined by Cally Houck, and CARS president Rosemary Shahan, announces introduction of the Raechel and Jacqueline Houck Rental Car Safety Act. 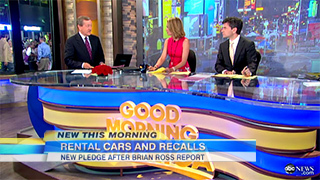 Brian Ross reporting for Good Morning America. In a historic breakthrough for motor vehicle safety, U.S. Senators Chuck Schumer (D-NY) and Barbara Boxer (D-CA) today announced that the entire U.S. rental car industry -- including Enterprise -- has now joined with Cally Houck, CARS, Hertz, and other auto safety advocates, to support enactment of the Raechel and Jacqueline Houck Rental Car Safety Act, to require rental car companies to ground unsafe vehicles that are being recalled, until they are fixed. 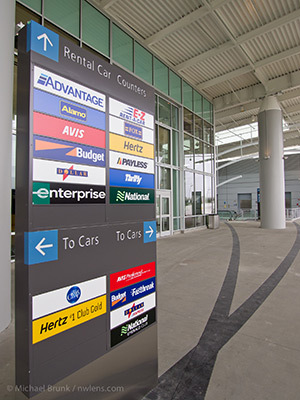 Rental car giants Enterprise-National-Alamo, Avis-Budget, plus Dollar-Thrifty, and the American Rental Car Association, had earlier opposed similar legislation to accomplish the same goal. However, they came under heavy pressure from Cally Houck, CARS, the public and their own renters. Polling commissioned by CARS in Missouri, where Enterprise has its headquarters, found that an overwhelming majority -- 86% -- of people who responded favor requiring rental car companies to ground recalled cars until the repairs have been performed. In addition to Senators Schumer and Boxer, who actively championed the cause from the start, Missouri Senators Claire McCaskill (D) and Roy Blunt (R) and their staff played major roles in bringing about this change in position. Each of the major rental car companies and their lobbying firms are now lobbying FOR the bill, which is expected to garner widespread bi-partisan support. 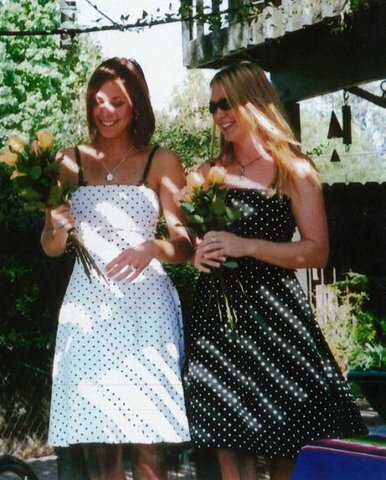 Like the original bills (S. 1445 and S. 3502), the new bill is named in honor of Cally Houck's daughters, Raechel and Jacqueline Houck, ages 24 and 20, who were killed near Santa Cruz, CA while driving a recalled Chrysler PT Cruiser they had rented from Enterprise in 2004. About a month before the deadly crash, Enterprise received a recall notice that the PT Cruiser had a defective power steering hose that was prone to catching fire and that it would be repaired by Chrysler free-of-charge. Despite the warning, Enterprise did not get the vehicle repaired and rented it out to three other customers before renting it to the Houck sisters. The defect caused the car to catch fire and crash head-on into a tractor-trailer, killing both sisters. 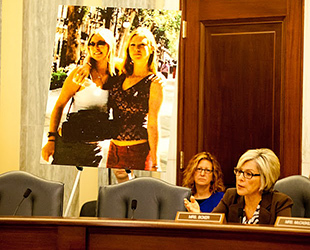 Their mother, Cally Houck, and CARS have spearheaded support for the legislation, which would close a loophole in safety standards by requiring rental car companies to ground recalled vehicles as soon as they receive a safety recall notice, and prohibit them from being rented or sold until they are fixed. Auto dealers are already subject to these requirements, and the bill would simply extend the same requirements to rental car companies. The bill also requires that rental car companies can continue to rent, but not sell, vehicles that have undergone an "interim" repair, but only if the interim step "eliminates the safety risk posed by the defect." For example, a Ford recall due to cruise control systems that malfunctioned called for an "interim" step of disabling the cruise control. A rental company could disable the cruise control and continue to rent the vehicle, but only until parts are available for a final fix. The rental company could not sell the car as a used car, until after the final fix has been performed, in order to prevent unsuspecting consumers from re-connecting the cruise control, not realizing that the part was defective and being recalled. The rental car companies are finally getting the message. US. Representatives Lois Capps (D-CA), Elton Gallegly (D-CA), Elliott Engel (D-NY), and Jan Schakowski (D-IL) have introduced a similar bill in the House (HR 6094). It is anticipated that a new bill will soon be introduced in the House, that will be identical to the new Senate bill, and will have bi-partisan support. The newly introduced Senate legislation is supported by the following consumer groups: Consumers for Auto Reliability and Safety, Advocates for Highway and Auto Safety, Center for Auto Safety, Consumer Action, the Consumer Federation of America, Consumers Union, the National Association of Consumer Advocates and the Trauma Foundation. The AAA (Auto Club) has also decided to support the bill, as part of its efforts to improve highway safety. Hertz was the first rental car company to side with Cally and CARS, and withstood pressure from the rest of the rental car industry over its pro-consumer, pro-safety stand. Washington, D.C. – U.S. 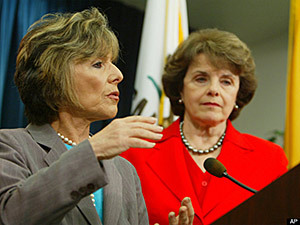 Senators Barbara Boxer and Dianne Feinstein (both D-CA) today introduced the Raechel and Jacqueline Houck Safe Rental Car Act of 2012, legislation that will ensure the safety of America's rental car fleet by preventing rental car companies from renting or selling cars or trucks that are under safety recall. The two California Senators introduced the legislation named in honor of Raechel and Jacqueline Houck, two sisters from Santa Cruz, ages 24 and 20, who were killed while driving a recalled Chrysler PT Cruiser they had rented from Enterprise in 2004. About a month before the deadly crash, Enterprise received a recall notice that the PT Cruiser had a defective power steering hose that was prone to catching fire and that it would be repaired by Chrysler free-of-charge. Despite the warning, Enterprise did not get the vehicle repaired and rented it out to three other customers before renting it to the Houck sisters. The defect caused the car to catch fire and crash head-on into a tractor-trailer, killing both sisters. 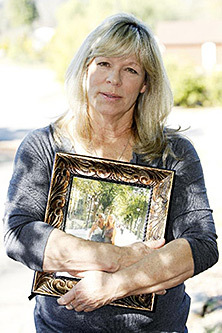 Their mother, Cally Houck, has joined with consumer groups in support of the new legislation, which would close a loophole in safety standards by requiring rental car companies to ground recalled vehicles as soon as they receive a safety recall notice and prohibit them from being rented or sold until they are fixed. Auto-dealers are already subject to these requirements and the bill would simply extend the same requirements to rental car companies. "We cannot allow another family to go through the pain and loss that Cally and her family have gone through," Senator Boxer said. "We will not rest until Congress has passed legislation that protects American consumers from these unsafe vehicles, and we urge all the rental car companies to join Hertz in committing to the safety of their customers." Earlier this year, Senator Boxer sent a letter asking the nation's four leading rental car companies – Enterprise, Hertz, Avis/Budget and Dollar/Thrifty – to protect consumers from unsafe vehicles by making the following pledge: "Effective immediately, our company is making a permanent commitment to not rent out or sell any vehicles under safety recall until the defect has been remedied." Of the four companies – which together control 92 percent of the rental car market – only Hertz agreed to the pledge in its entirety. 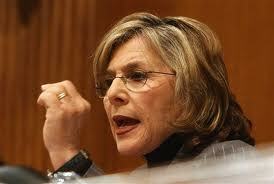 Senator Boxer is continuing to urge the companies to take the pledge and fully protect their customers. The Senate bill is the companion legislation to a bill introduced last month by Congresswoman Lois Capps (D-CA), Congressman Eliot Engel (D-NY) and Congresswoman Jan Schakowsky (D-IL). The new House and Senate bills are an updated version of legislation introduced last year by Senator Chuck Schumer (D-NY), Senator Boxer, Senator Feinstein and Senator Richard Blumenthal (D-CT). Would you "Like" Enterprise and other companies to stop renting unsafe vehicles? 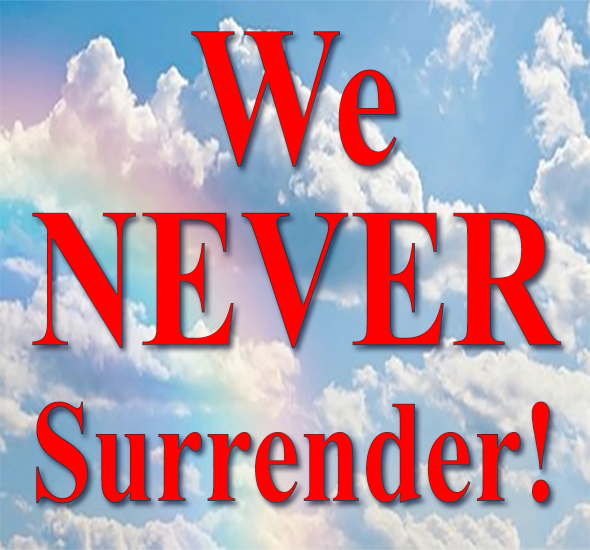 Show your support by "Liking" this on Facebook, by clicking the "Like" button below. Thanks! "Consumer safety advocates may be on the verge of winning a years-long fight to ban rental car companies from renting and selling recalled vehicles. Enterprise Rent-A-Car publicly opposed such proposals, but with a new bipartisan bill in the House and a companion measure expected to drop any day in the Senate, other industry players are joining the fray....Enterprise, one of the largest privately held businesses in the nation, has spent more than $200,000 on lobbying so far this year. In 2011 the company spent nearly $1 million, almost four times the amount spent by its major competitors - Avis-Budget and Hertz Rent-a-Car - combined. 'Without legislation, what Enterprise is doing is not enforceable. They can say they are doing it, but not really be doing it," said Pamela Gilbert, a lobbyist with Cuneo Gilbert & LaDuca, representing CARS. "They can do it today and stop tomorrow. In both cases, without a law, there isn't anything anyone can do about it.' 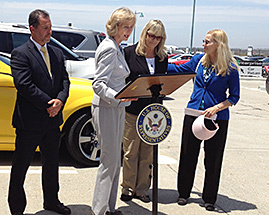 "
US Rep. Lois Capps, joined by Hertz Division Vice President Aaron Medina, Cally Houck, and CARS president Rosemary Shahan, announces introduction of the Raechel and Jacqueline Houck Rental Car Safety Act. In a major step forward for rental car safety, U.S. Congressional Representatives Lois Capps (D-CA), Eliot Engel (D-NY) and Jan Shakowsky (D-IL) have introduced the Raechel and Jacqueline Houck Rental Car Safety Act of 2012 in the U.S. House of Representatives. Rep. Elton Gallegly (R-CA), has agreed to co-sponsor the bill. Cally Houck, Raechel and Jacquie's mother, is a constituent of Rep. Gallegly's and had personally reached out to him to seek his support. "I am profoundly grateful that these members of Congress are spearheading the fight to ensure our highways are safe from dangerous rental cars," said Cally Houck. The bill, H.R. 6094, will require rental car companies to ground unsafe, recalled vehicles until they are fixed. The language in H.R. 6094 is the same as in the agreement reached between CARS and Hertz Rental Car Co., which has been helping lobby for its enactment. Enterprise, Avis and Dollar Thrifty have refused to support the bill. Enterprise still insists that the legislation needs to be watered down to allow the company to delay having to ground recalled cars. Its excuse? Enterprise claims that takes the company time to notify its employees about the hazardous cars in a timely way. However, this directly contradicts what Enterprise told the National Highway Traffic Safety Administration. In an April 7, 2011 letter to NHTSA, Enterprise wrote that "In 2005 we created reporting software that allowed us to track the completion of recall work and more recently we created new recall management software which allows us to alert our regional subsidiaries about recall notices in real-time." So -- if that's true, what's their problem? This raises another question -- since Hertz says it can handle safety recalls in time, without further delays, why can't Enterprise do the same? Read more: at Rep. Lois Capps fights to end "rental car roulette"
Letter from Mary Thornton to Cally Houck reveals Enterprise still persists in selling unsafe recalled cars. What will it take for them to stop? As recently as May 4, Enterprise told the St. Louis Post-Dispatch that the company believes it should be able to keep renting recalled vehicles, if it deems the vehicle safe enough to continue to rent. The company raised the example of a vehicle with a seat belt warning chime that fails to make a sound. The company claimed that if they simply notify the renter that the seat belt chime fails to work, that would be sufficient. However, according to a highly regarded leading child safety advocate, pediatrician Robert S. Vinetz, M.D., FAAP, many parents rely on the chimes to alert them when their children are unbuckled, and the lack of a chime could result in a child's riding without being secured, with potentially disastrous results. As some parents have stated, it is obviously unsafe for a parent to have to turn around and look to see whether their child is still buckled up or not. Also, teenagers, who are at high risk of fatalities or serious injuries in vehicle crashes, may be more likely to forget to buckle up, absent the warning chime. Cally Houck sits by pictures of her daughters. "Cally Houck wants rental car companies to promise they won't rent or sell a vehicle until any safety recall issue is addressed. So far, only one rental car company -- Hertz Rental -- has promised to permanently stop the practice. Other companies have said they are on board, but won't promise to never rent a recalled vehicle and not fixed. "It's so simple, so simple," Houck said. The rental companies "just don't want to be told what to do." Houck has found a ally in the Senate in Boxer, who is planning to introduce a bill similar to one proposed last year by Sen. Chuck Schumer. On May 7, Boxer gave the major car rental companies 30 days to sign a pledge saying they would stop renting recalled vehicles. She announced last week that only Hertz made that commitment"
"Effective immediately, our company is making a permanent commitment to not rent out or sell any vehicles under safety recall until the defect has been remedied." Enterprise / National / Alamo, Avis / Budget and Dollar / Thrifty indicated that any commitment that they make is only temporary, while they still seek loopholes that would allow them to continue to rent or sell unrepaired recalled vehicles. Coverage of the press conference included reports by ABC, MSNBC, CNN, and the Today Show, as well as the San Francisco Chronicle, St. Louis Post-Dispatch, The Hill, and numerous other TV, print, and radio reports. take Sen. Boxer's rental car safety pledge? There would be more photos of these sisters today, if this bill had been passed 8 years ago. She commended Hertz for pledging to stop renting out vehicles under safety recall until the defect has been remedied. She informed Enterprise chairman and chief executive officer Andrew Taylor that temporarily halting the rental of unrepaired vehicles under safety recall is not satisfactory. She wants a permanent suspension as well as a stop to sales of recalled vehicles on the wholesale market. Sen. Boxer urges rental companies not to rent or sell recall cars. U.S. 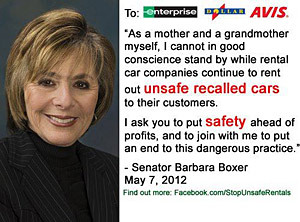 Senator Barbara Boxer (D-CA) today sent a letter to Enterprise Rent-a-Car CEO Andrew Taylor urging his company to commit to permanently stop renting or selling vehicles under safety recall to consumers. While Enterprise agreed in a letter to Senator Boxer this week to temporarily stop renting vehicles under safety recall, they have fallen short of satisfying the Senator’s safety pledge by maintaining the right to sell recalled vehicles on the wholesale market and failing to permanently end the practice of renting or selling cars and trucks under safety recall. On May 7, Senator Boxer sent letters asking all of the major rental car companies to agree to take this simple voluntary pledge within 30 days: “Effective immediately, our company is making a permanent commitment to not rent out or sell any vehicles under safety recall until the defect has been remedied.” Among the major companies, only Hertz – which had already stopped the practice – agreed to meet the promise in the pledge. Enterprise Rental Car Co. plays "rental car roulette"
Making headlines nationwide, rental car giant Hertz has reached a historic agreement with Consumers for Auto Reliability and Safety, to support the newly revised Raechel and Jacqueline Houck Rental Car Safety Act, named for two sisters, ages 24 and 20, who were killed in a tragic crash in an unsafe Enterprise rental car. The Act would ban rental car companies from renting or selling vehicles that are being recalled, until they are fixed. "... believes that rental car companies have a responsibility to provide safe vehicles to their customers. All safety recalls resulting from defects present an unreasonable risk to safety and we believe it is inappropriate to suggest that some defects are not risky enough to require repair. For the safety of the motoring public, all recalled vehicles should be fixed promptly." However, Hertz' biggest competitor, Enterprise Rental Car Co, owned by the wealthiest car guy in the country, continues to be the biggest barrier to enacting the Raechel and Jacqueline Houck Safe Rental Car Act. In letters submitted to the National Highway Traffic Safety Administration last April, major rental car companies admitted to federal regulators that they keep renting vehicles to the public, even when they know they are so unsafe they are being recalled by the manufacturer due to safety defects. "A committee of senior executives of the parent company, including the executives responsible for vehicle maintenance and repair, evaluates recall notices. If the committee is confident that we can continue to safely rent the vehicle, we may rent the vehicle prior to the recall work being completed." The letters from the rental car companies were submitted to the federal safety agency, in response to a formal Audit Query. The trade association for the rental car companies also stated, in a letter to members of the U.S. Senate, that after their member companies get recall notices, within the next 30-60 days, they usually fix only about 80 - 90% of the unsafe vehicles. Meanwhile, thanks to a loophole in the law, they may continue to rent or sell them to unsuspecting customers. Obviously, 30-60 days is too long, and 80-90% is not enough. 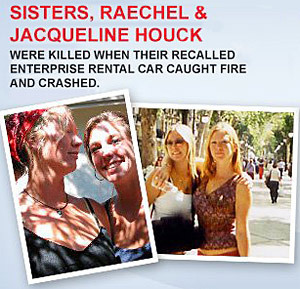 In one tragic case, two sisters, Raechel and Jacqueline Houck, ages 24 and 20, were killed by an unsafe Enterprise rental car about 30 days after Enterprise received the safety recall notice from the manufacturer. Meanwhile, Enterprise rented the defective vehicle to 3 other people. Any of them could have been killed. The car, a Chrysler PT Cruiser, was being recalled because it had a defect in a steering component that would cause an under-hood fire and also a loss of steering control. Raechel and Jacquie were riding in the car when the defect occurred. Witnesses saw the vehicle on fire. 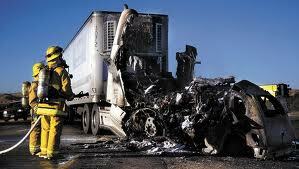 The sisters ended up colliding with an 18-wheeler, and the PT Cruiser exploded into flames. Their mother, Cally Houck, and brother, Greg Houck, have become ardent advocates for changing the law so other families will be spared the same horrific loss. Eventually, after more than 5 years of denying it had any liability, and trying to blame the crash on the young women, Enterprise admitted it was 100% responsible for the deaths of Raechel and Jacquie -- about a week before the case was heard by a jury. USA Today: CARS and Hertz announce historic agreement on rental car safety. What you don't know about rental cars can kill you. Enterprise to customers: drop dead. Sen. Boxer made this statement as a member of the U.S. Senate Commerce Committee, which voted to move forward with legislation to re-authorize the National Highway Traffic Safety Administration. She pledged to work to ensure that the final bill presented on the Senate floor addresses the problem of unsafe rental cars. Cally Houck, mother of Raechel and Jacqueline Houck, praised Sen. Boxer for her strong stand for improving rental car safety, noting that it was " very politically courageous." The owner of Enterprise Rental Cars, Jack Taylor, is the richest car guy in the nation. For years, he has been listed among the top richest people in the nation, in the Forbes list of the richest people in the U.S.
Pamela Gilbert. 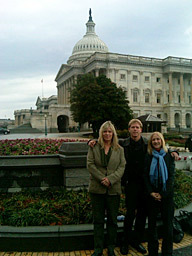 Nov. 2011, outside the U.S. Capitol. Photo taken by Ami Gadhia. U.S. Senator Chuck Schumer (D-NY) has introduced legislation, co-sponsored by Senators Boxer (D-CA), Feinstein (D-CA), Gillebrand (D-CA), and Blumenthal (D-CT) to prohibit rental car companies from renting or selling unsafe, recalled vehicles to the public. The bill is S 1445, and it is named The Raechel and Jacqueline Houck Safe Rental Car Act of 2011, in honor of Raechel and Jacqueline, who perished in the unsafe Enterprise rental car.